First, let's run down the brand new Powerbeats Pro. These headphones are far more secure with adjustable earhooks to help keep them in place. Due to their workout-centric nature, these are also sweat and water resistant for protection during marathon runs or rain. Connectivity is provided by the H1 audio chip, the same used on the latest generation of AirPods. This uses Class 1 Bluetooth 5 audio for great range and connectivity —as we've seen already with AirPods. Using the same chip, Beats has enabled "Hey Siri" functionality to control everything purely by voice. Powerbeats retains physical controls, however, so you don't have to look like you're constantly talking to yourself in the gym. One of the biggest benefits of Powerbeats Pro, is battery life. They are capable of up to nine hours of continuous use on a single charge versus the five hours from AirPods. 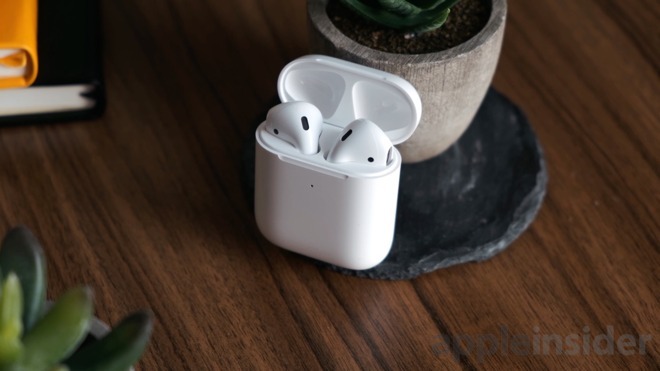 If you place them back in the case for a quick top-off, you can get a total of 24 hours of use —same as AirPods —before they need plugged in. Speaking of which, the battery case for Powerbeats is not wireless and must be plugged in using the included black Lightning cable. When you place the earbuds into the case, five minutes will garner an hour and a half of use. We can't confirm much about sound quality until we have the headphones in hand, or in ear, but they also appear to have better audio quality than AirPods based on the boastful statements put forth by Apple. An "upgraded linear piston driver that leverages an efficient, pressurized airflow to create a powerful acoustic response in a small package," reads the Powerbeats Pro webpage, but what precisely that means right now isn't clear. This will certainly be a test for us as soon as the headphones are released. 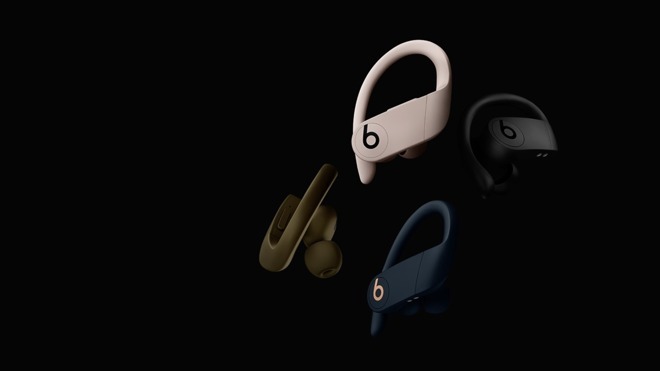 Powerbeats Pro will be available in four colorways —black, navy, ivory, and moss —when they ship. Apple's new AirPods 2, which we've already reviewed, hold up quite well compared to Powerbeats Pro sans a few key areas. First, the battery life is going to be shorter for a single session. This may or may not be important to you depending on if you plan to use your headphones for longer than five hours. If not, then this point is a wash between Powerbeats Pro and AirPods. AirPods does win out in terms of portability. They are smaller and more compact, as well as being more convenient thanks to the optional wireless charging case. We really love the wireless charging case and makes us weary to forgo it for the Powerbeats Pro. At $159 for AirPods, they are quite a bit cheaper than Powerbeats Pro which will hit the shelves at $249. The decision on whether to jump on AirPods now, or hold out for Powerbeats Pro is seemingly a fairly easy one. Each have clear pros over one another. If you struggle keeping AirPods in your ears, workout frequently, and prefer better audio quality/noise isolation —Powerbeats Pro is the answer. Otherwise, if you want a more compact package, do more casual listening, and prefer the wireless charging case, and want a lower price point —go with AirPods. AirPods are already out now both on Amazon as well as B&H. You can also keep and eye out on the AppleInsider Price Guide for the latest deals. 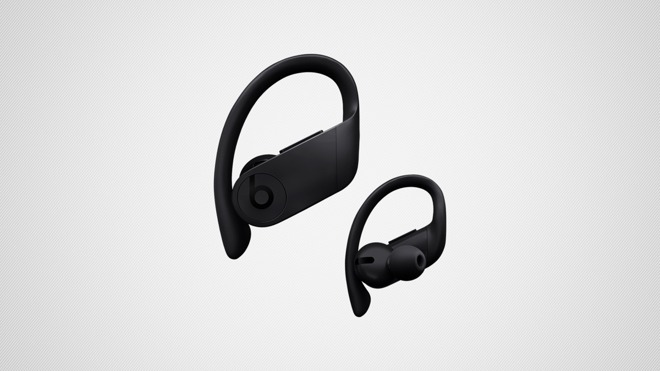 Powerbeats Pro will be available in black, navy, ivory, and moss this May for $249.